This past weekend Emily and I attended Farmers' Market as usual. I bought some fresh lettuce from a fellow vendor. Emily once again offered her face as a advertising billboard for our face painting vendor who paints her face for free every Saturday. And Emily bought and ate almost a quart of fresh cherries. But instead of relaxing after we returned home and ate our lunch, My husband suggested a short day trip to the Velvet Ice Cream Factory. The factory, gift shop, and ice cream parlor are all located in an old mill that rests on beautiful grounds. There is a small pond with ducks. There is a short hiking trail next to the river. And best of all, there is ice cream to eat. This particular Saturday there was also a woman offering carriage rides, so Emily also got a little time with he favorite animals, horses. If you are ever in Ohio and find yourself near Utica, be sure to stop by. But the most interesting event of the day, actually happened when we were just on the outskirts of Utica. We were driving along and suddenly my husband pointed to a bird gliding across our path and he said, "An eagle." Stunned to see one up close and personal and in a semi state of shock and wonder, I pointed too and cried repeatedly, "A bald eagle. A bald eagle. A bald eagle." For me, life is really about the little things. Expensive family vacations, cars, and toys, are nice, but the little every day things like sighting a bald eagle in all its glory zooming across the road in front of us is what really makes me happy. That, and things like discussing wildflowers on the side of the road with my husband and dreaming of planting fields of them if we ever become the owners of a large piece of country property. 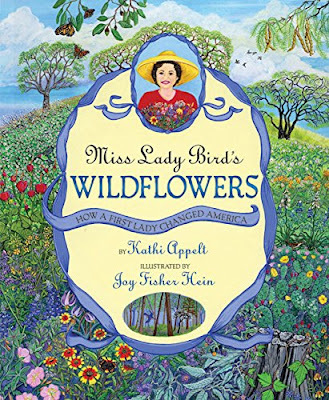 And speaking of wildflowers, the book I happened to read this week was titled Miss Lady Bird's Wildflowers. It is the true story of the first lady Mrs. Johnson, her childhood, her love of flowers, and how she is the one responsible for wildflowers on the sides on the highway. Our week was full of preparations for farm market as is the norm from June to October and it was a beautiful day. My vendors had lovely produce. Emily bought her favorite peach jam from Dave the jelly man. And, afterward her friend picked her up to go the pool. Father's Day was also a beautiful day. 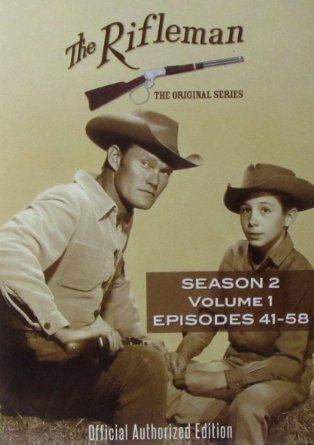 Emily and I gave Bobby his gifts of dark chocolate, season two of The Rifleman, and a new fluffy bed pillow. I then fixed my family breakfast and Emily had her newly purchased jam on toasty English muffins. When the noon hour rolled around Bobby took Emily and I to the pool for a few hours of swimming. We all slathered on the sun screen which was a 70 spf to avoid burning; but as is normal, I burnt anyway. I am not an albino or a redhead with milky white skin, but I inevitably always burn the first couple of times in the sun. What's a girl gonna do except liberally apply some aloe vera after. Besides the sunburn, the only damper on the week was the reminder that Father's day bought. The fact that both Bobby's and my fathers have passed away. Thankfully, we both have good memories of time spent with our dads. In fact, it is my father who instilled in me my love of words and my love of literacy. I remember him telling my brother and I that children who could read well could grow up and do anything, something that has become my motto. So the books I chose to read this week are very appropriate. 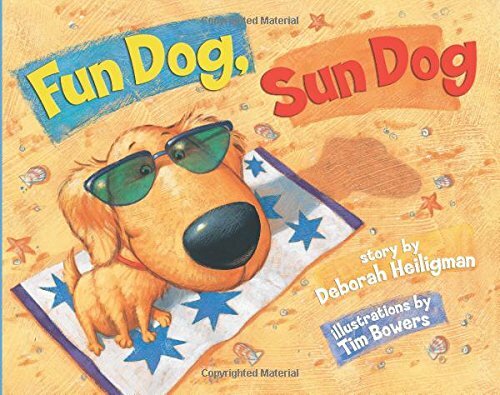 The first book, Fun Dog, Sun Dog, is a great summery book which includes the normal summery things like swimming. Dog goes to the beach with his owner, but that is pretty similar to going to the pool. And the awesome rhyme in this story is the type of rhyme that writers are always told about. Rhyme done well. 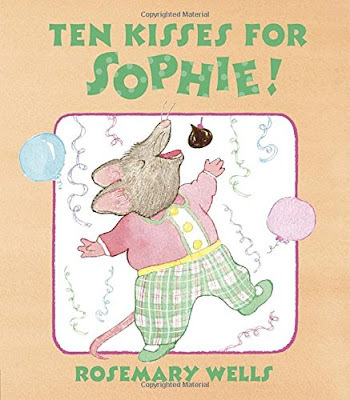 The second book I read was called, Ten Kisses For Sophie. It was a sweet story of Sophie who worried that there wouldn't be enough kisses for everyone at her Grandmother's party. Sophie was so worried that she snuck down in the middle of the night to count the candies and make cards for the guests. There were ten guests counting her so she relaxes. That is until her father gets a call and they find out that there will be an extra guest. Will there be enough kisses for Sophie to have one? 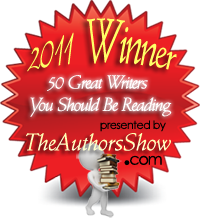 I guess you will just have to read this book yourself to find out! And lastly, I read Here In The Garden which is a story of a boy dealing with the loss of his rabbit. 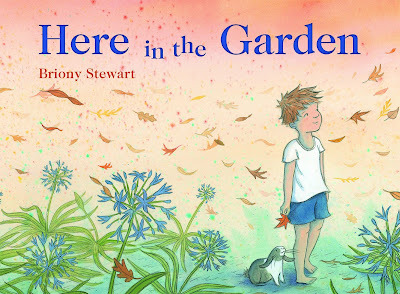 Emily read this book as well and told me that she thought it was good but it was a bit sad. Losing a pet or loved one can be sad, this is true. But I love how the main character concentrated on all the good memories he had of time spent with his beloved rabbit. That is how I chose to deal with the loss of my beloved father. I don't dwell on his absence, but instead think about the wonderful lifetime of memories we created while he was alive! 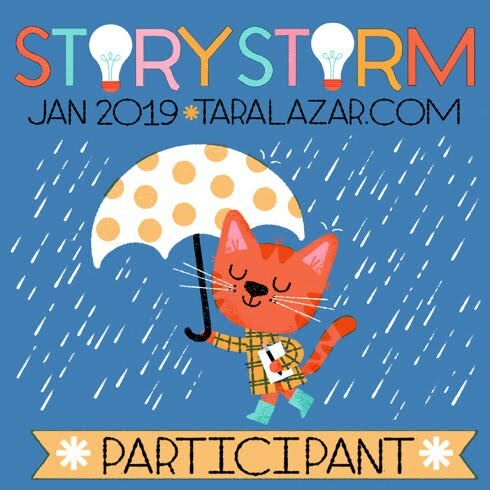 I know I don't usually post on Tuesday, but I forgot to mention that I am hosting a giveaway of my latest picture book on Good Reads. 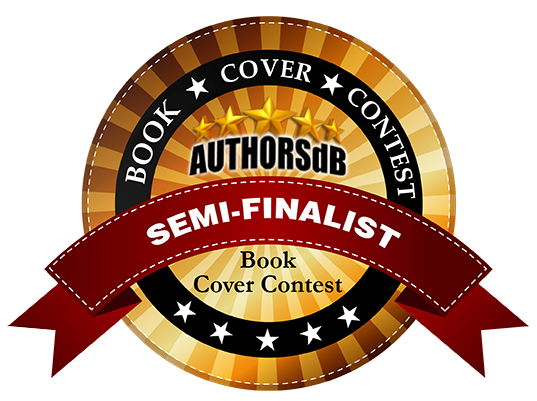 Feel free to stop by and enter for a chance at one of four copies of Quack and Daisy - Beyond the Meadow. 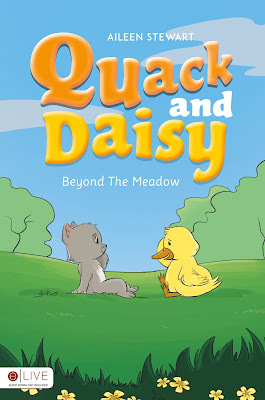 QDBW is the sequel to my very first picture book Quack and Daisy and is the story of two unlikely friends, Quack the Duckling and Daisy the kitten. 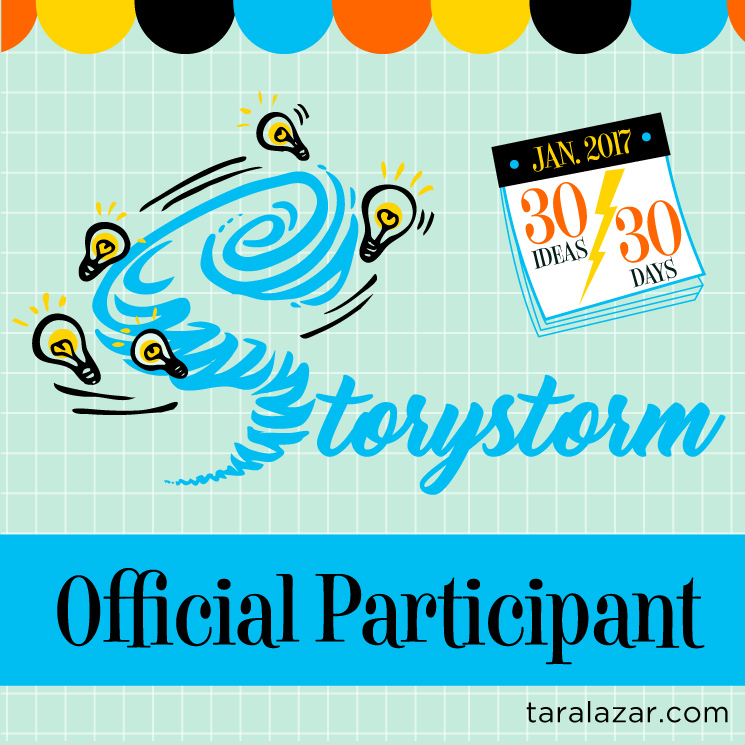 Just click on this link to enter! 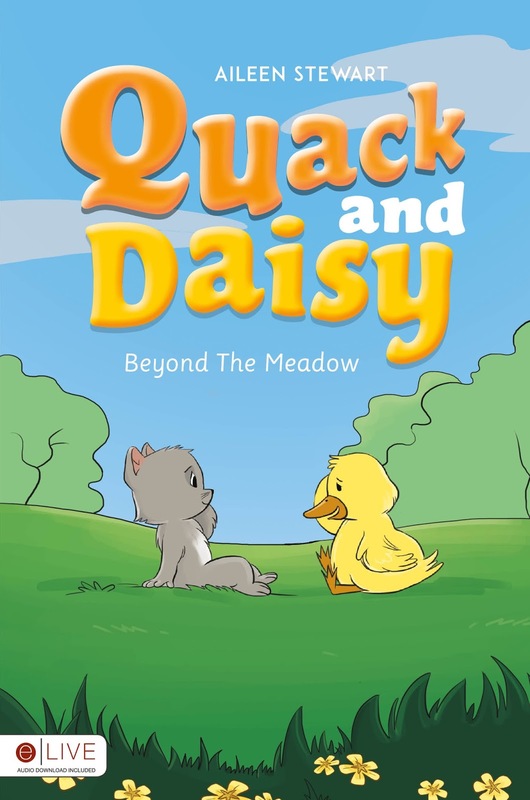 Quack the duckling and Daisy the kitten are best friends who spend most days playing in the meadow. One day Quack decides to tell Daisy a secret. She tells her of Mama Duck’s ominous warning to not go beyond the meadow. Will the two friends heed Mama’s words about the dangers beyond the meadow, or will their curiosity get the better of them? 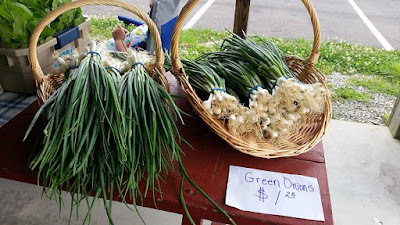 When summer arrives, quite a bit of my week is spent in preparation for farmers' market and this past week was no exception. I spent last Thursday and Friday baking brownies, scotchies, and mini quick breads. 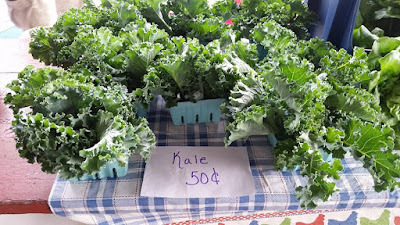 It was another great market day and we had lots of great vendors. I came home with peaches, tomatoes, fresh garden lettuce, and some green onions to go with the soup beans Bobby asked me to make. With the weekly market day out of the way, I set my mind to Fathers' Day which is just around the corner. Emily will be making a card for Bobby, I will wrap the dark chocolate candy I've been hiding, and I will plan dinner for him which will probably include a trip to the Rib King's tent. All these thoughts of Fathers' Day made me think of a gift Emily made several years ago. It was made using an envelope and was pretty easy, so I thought I would share it. First, you cut the very end off of a letter size envelope and then seal the back. Next, cut a small slit in the center of the top piece (about 1/2 inch) and fold down the ends to form a collar. To make this envelope look like a man's outfit, you need some construction paper. Emily used a hole punch to make shirt buttons and a square to make pants. An alternate color of paper cut into a thin belt the width of the envelope creates a separation between shirt and pants. When they are all done, your child can slip their father's favorite candy bar inside! In honor of fathers everywhere, I also read some great books where dads were the theme. 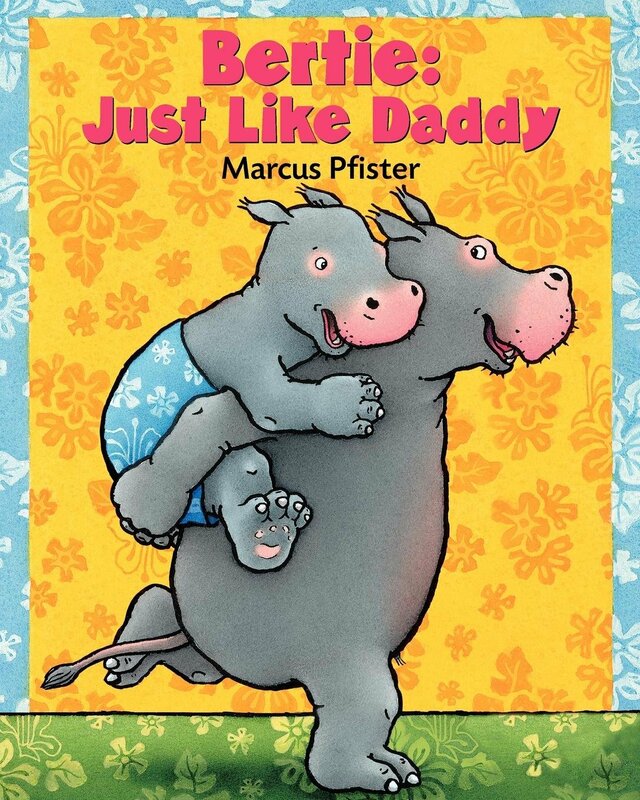 The first book I read and probably my favorite of the three was Bertie: Just Like Daddy. 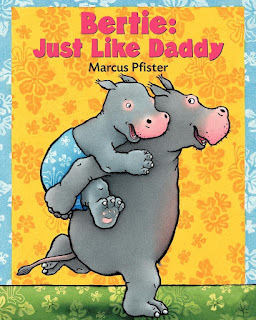 As we all know, children try to emulate moms and dads and this adorable book has Bertie trying to be just like his father. The next book I read was called Hunting The Daddyosaurus. 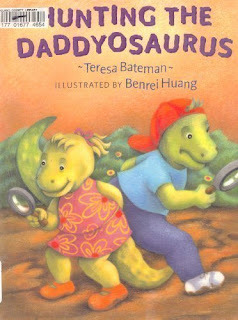 It is a cute tale of a brother and sister in search of the huge and mysterious Dadyosaurus. The follow clues all over the house just steps behind the elusive creature, but in the end, they finally catch him. 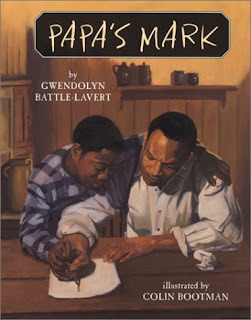 And last but not least, I read Papa's Mark which is a beautifully written piece of historical fiction. Taking place at the time when colored men had just received the right to vote, Simms's father eagerly awaits voting day. However, he can only write an x where his name should go. Simms, who isn't old enough to vote but who shares Papa's excitement, sets about to help Papa learn to write his own name. Night after night Papa practice, and on voting day, he proudly writes his name. I think this book would be a great addition to any American History lessons for both home school and traditional classrooms. It is a bit older having published in 2004, but worth finding a copy if you can. 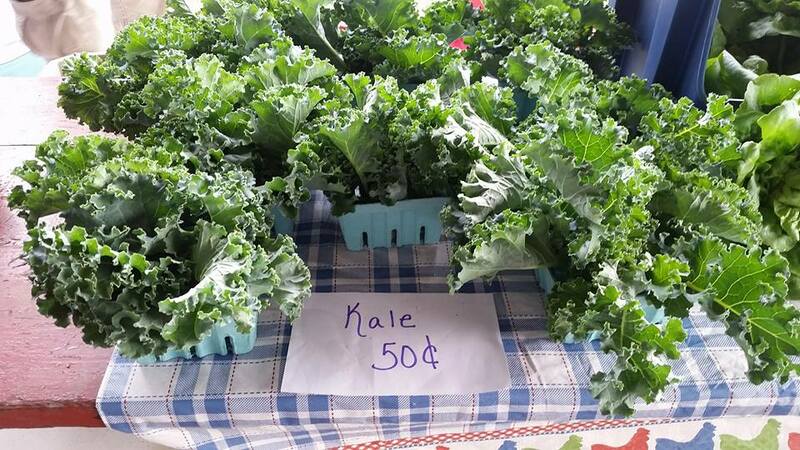 This past Saturday was the opening day of Farmers' Market and it seems to me that it was a great success. The rain held off, so we were all dry. Customers arrived, so we sold goods.The face painter painted Emily's face free for advertising. And I took pictures of everything. The beautiful jams and jellies. And works by local crafters. As most of you can probably tell by my posts, I love to take photographs. 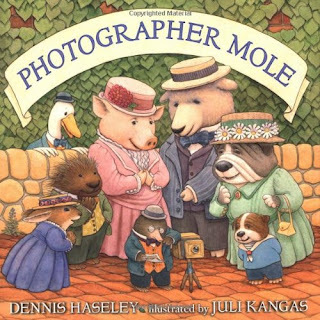 So, I found it funny that the first book in my to read pile was a book entitled Photographer Mole. It is the story of a mole who loves to take pictures of all his friends, local groups, families and so forth. But one day as he is admiring his photographs he realizes something is missing. To the regret of his friends, he leaves town in search of the missing something. At this point in the book, I still had no idea what Mole thought was missing so I kept reading in anticipation. 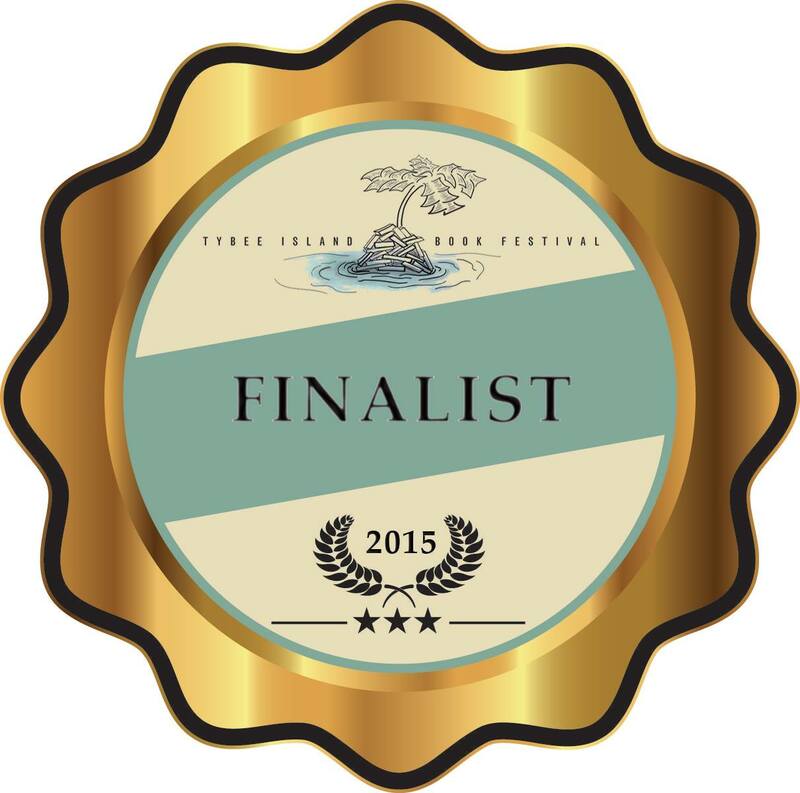 When Mole finally finds what he was looking for and comes home, it isn't at all what you imagine it will be. At least it wasn't for me. 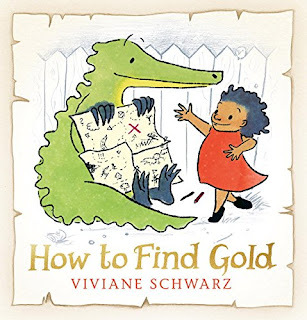 I heartily recommend this book and I'm pretty sure that kids will keep reading with anticipation of Mole's discovery just like I did! This book is a bit older ( 2004) but well worth searching for. The second book I read was called How to Find Gold. 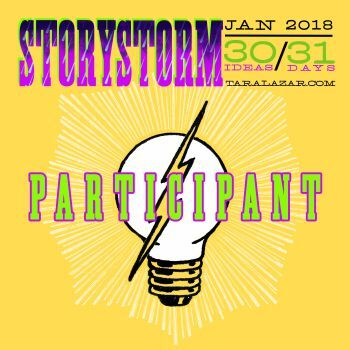 I wasn't nearly as impressed with this book and was left kind of confused as to if the characters were imagining all the incidents or not, but perhaps as an adult I was just over thinking the story. So my suggestion is, if your library has a copy, check it out and see what you think. And if you figure it out, be sure to let me know.